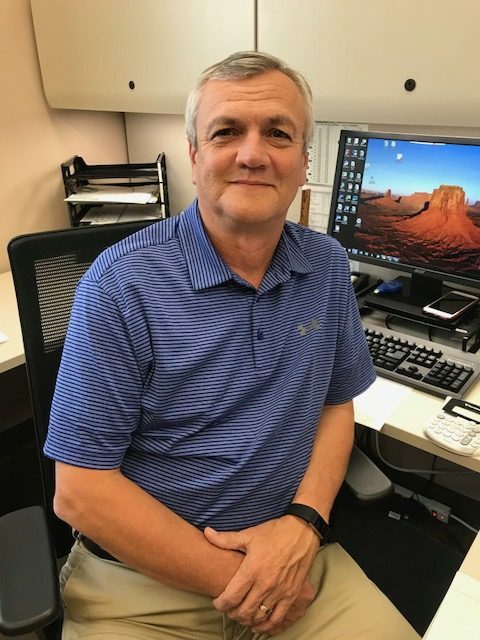 With more than 30 years of experience in the steel industry, National Tube Supply’s (NTS) Baytown Branch Manager Terry Flanary is one of the key drivers of growth for NTS, specifically for the southern region. We got the chance to catch up with Terry and ask him a few questions, so you can learn more about the newest NTS facility and the upcoming plans for growth. I have been with NTS for 18 years now, and I’ve been in the steel industry since 1985. I have an amazing wife, three incredible daughters and the two most beautiful grandchildren anyone could ask for: one granddaughter and one grandson. One of my favorite things to do is to spend time with my family. Together, we like to fish, boat and grill out in the backyard. I’m the Branch Manager at the NTS Baytown facility, which opened in 2014. With this facility, we service the states of Texas, Louisiana, Oklahoma, Arkansas and Mississippi. In my role, I work closely with the National Tube Supply headquarters in University Park, Illinois to ensure offices across the country remain consistent in terms of company values and expectations. We are proud of our customer-focused service and I want that to be instilled in our Baytown employees as well. Where do you see NTS in the next five years? I envision NTS continuing to grow its market share in the industry throughout North America. We see a lot of growth for the company, especially at the Baytown facility. In the next five years, I would like to see this facility double as we establish ourselves as a major player for mechanical tubing in the south. We will also continue to exceed customer expectations by providing quality products and striving to “wow” our customers daily with our above-and-beyond service. What do you wish more people knew about NTS? The main thing that people should know about NTS is our value-added services to complement our massive inventory. Not only do we offer material cut-to-length, but we do it with the ability to ship orders next day as well. Our employees also work directly with our customers to ensure we’re offering the most efficient and cost-effective products for their individual requirements. What do you like most about working with National Tube Supply? Simply put, it’s just really fun to be part of the NTS family. Our company’s commitment to our customers starts with our commitment to our employees. Our current team is great, and we are continuing to build that family by bringing in people who want to be part of something that is fun and exciting. It’s a company culture that is valuable to be a part of.